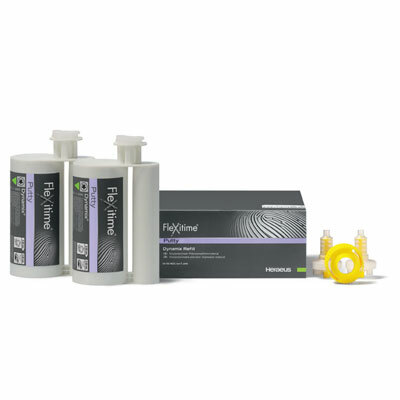 This new addition to the family of Flexitime VPS Impression Materials rounds out the Flexitime Dynamix offering. Dental professionals can choose from heavy tray, monophase, and putty automix materials. The Dynamix Putty with Dynamix Machine affords fast, void-free mixing—no need to mix by hand—and ensures precision and accuracy.